Below are the phases of work we have completed so far. Our next step is to report back on what we heard during the public consultation completed earlier in 2018. Between March 6 and 30, 2018, we presented a number of solutions to the issues identified during previous phases of this project, and asked residents to share their views. We received 530 responses, and are currently analyzing that feedback we received during that consultation, and expect to report back soon. Here are some of the potential solutions we have proposed for East 29th. Tempe Cres (west) intersection: Option 1. This option includes a painted two-stage bike crossing, shared crossing upgrades, a painted median with left turn bay, and realignment of the south leg. 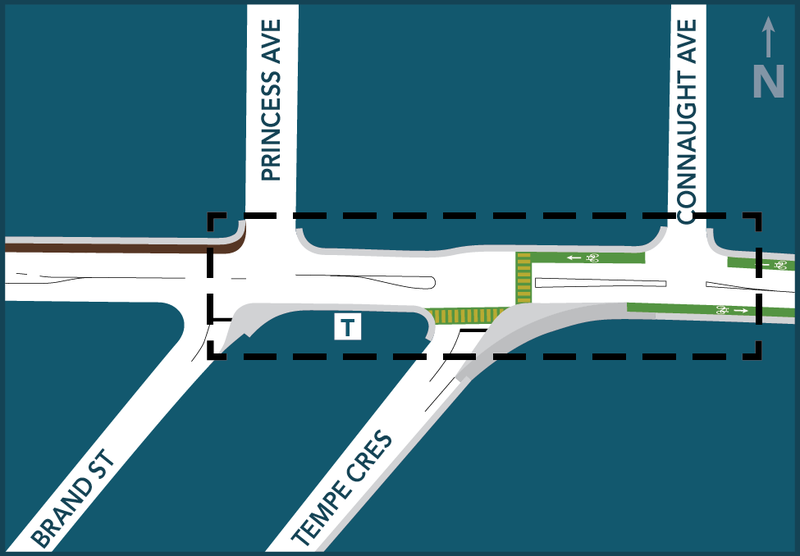 Tempe Cres (west) intersection: Option 2. This option includes a one-way bike slip lane, raised medians, shared crossing with refuge (a safe place to pause while crossing the street), and realignment of the south leg. 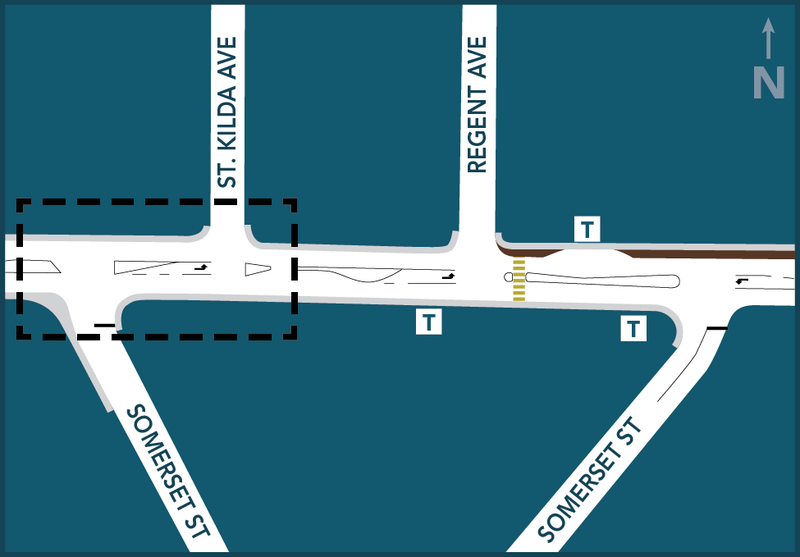 Somerset Street (west) to Somerset Street (east): Option 1. 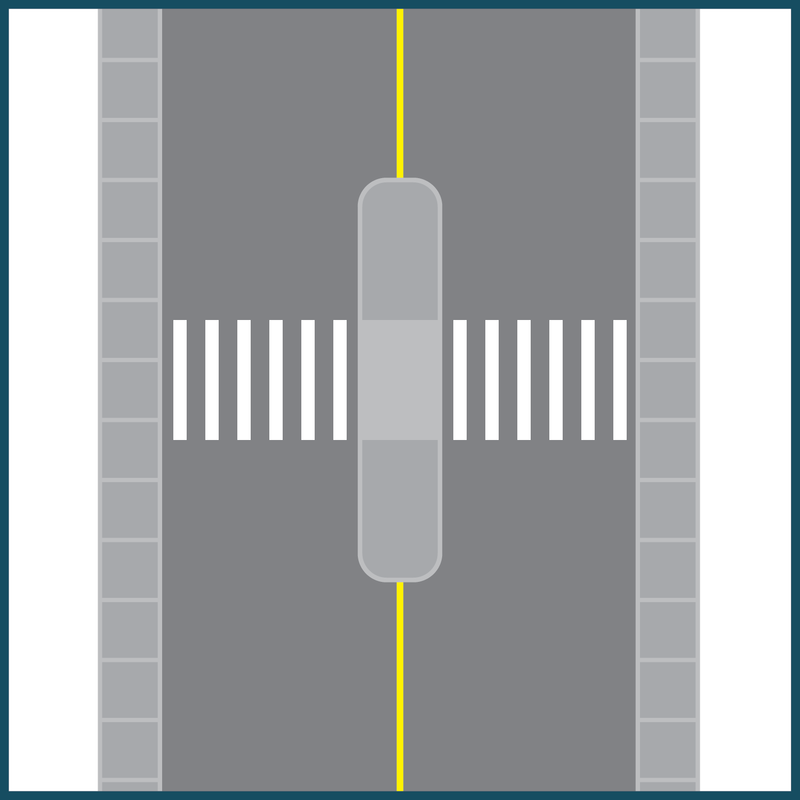 This option includes realigning the south leg, and painting a median. 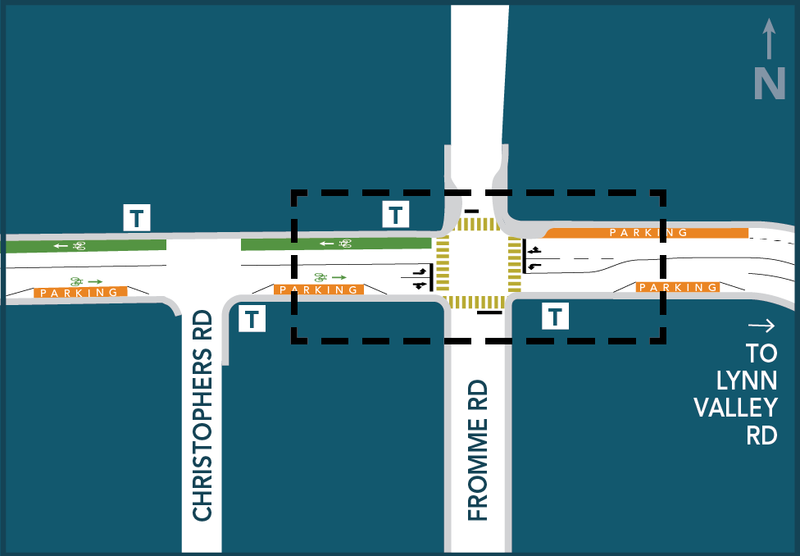 Somerset Street (west) to Somerset Street (east): Option 2. 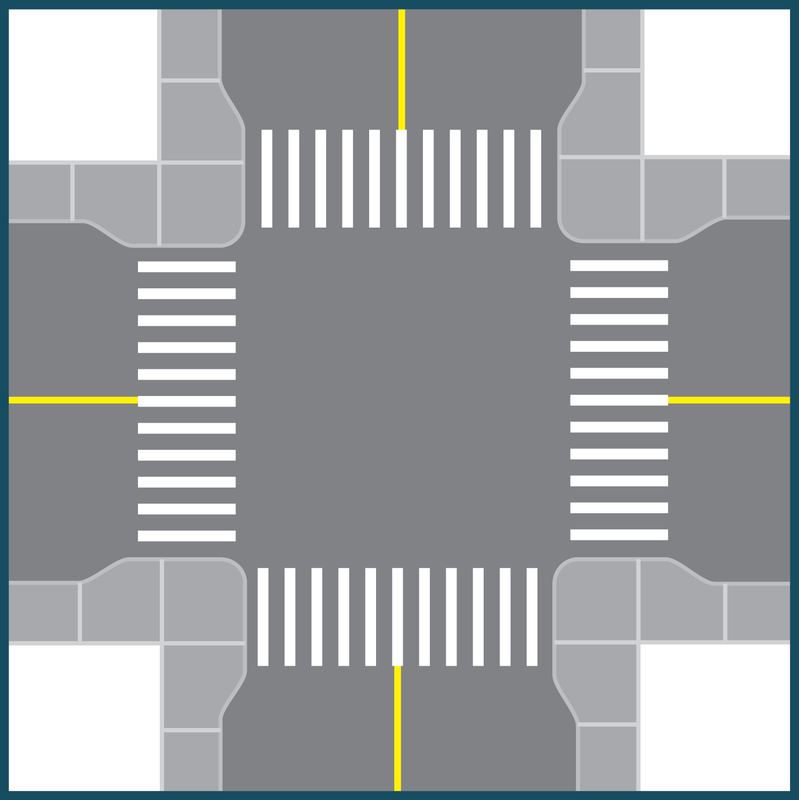 This option includes realigning the south leg, and adding a 'right-in/right out'. Tempe Cres (east) intersection: Option 1. 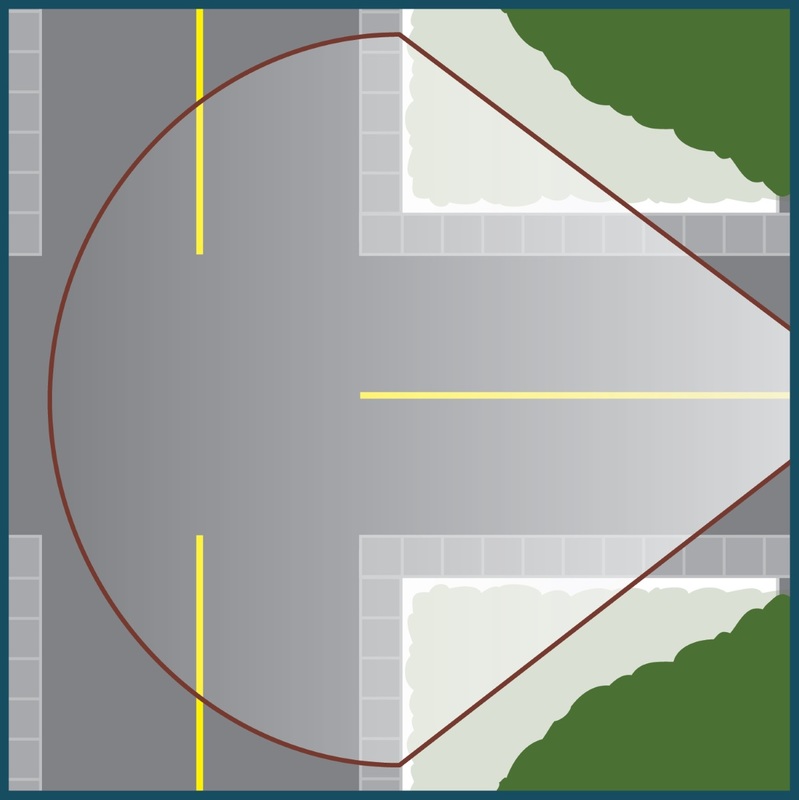 This option includes painted medians and a shared crossing. 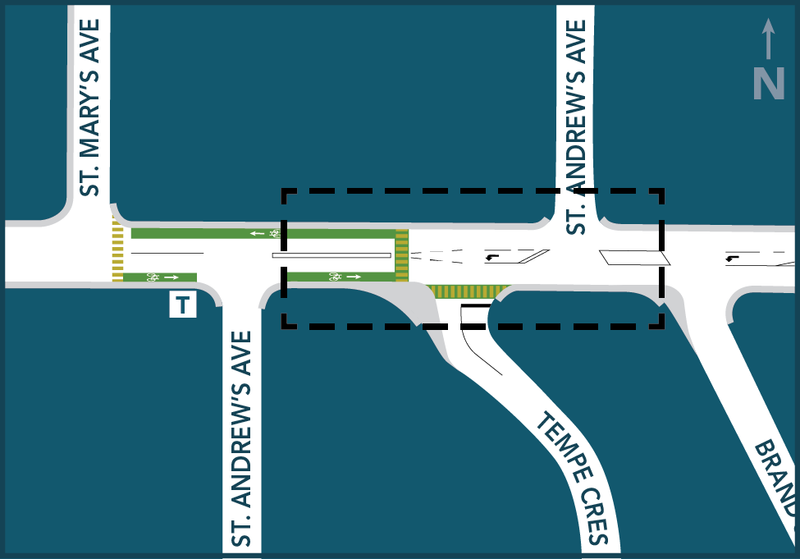 Tempe Cres (east) intersection: Option 2. 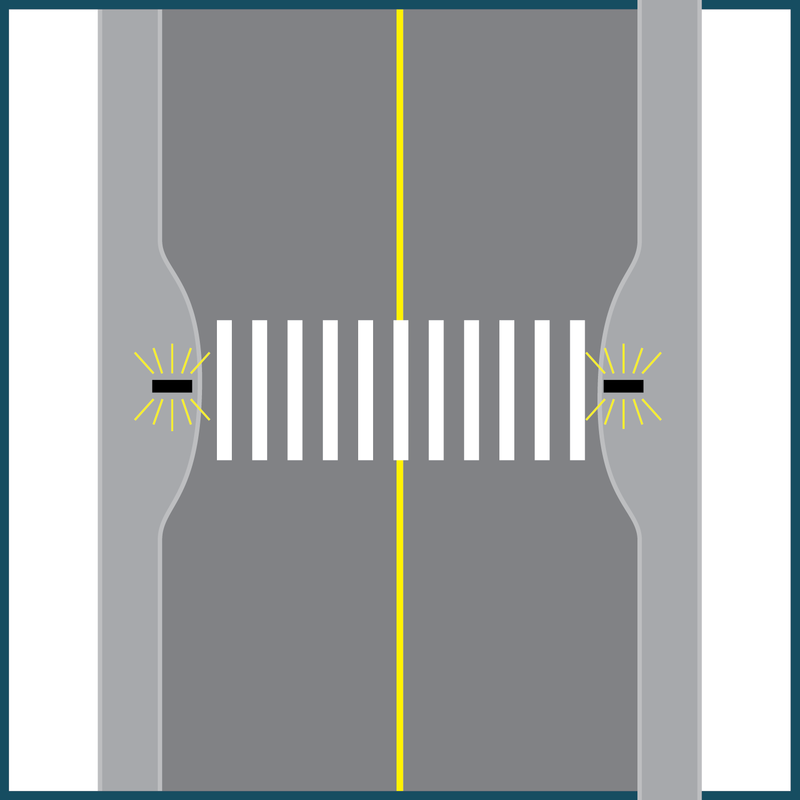 This option includes a shared crossing with refuge, raised medians, and a left turn lane. William Avenue intersection: Option 1. 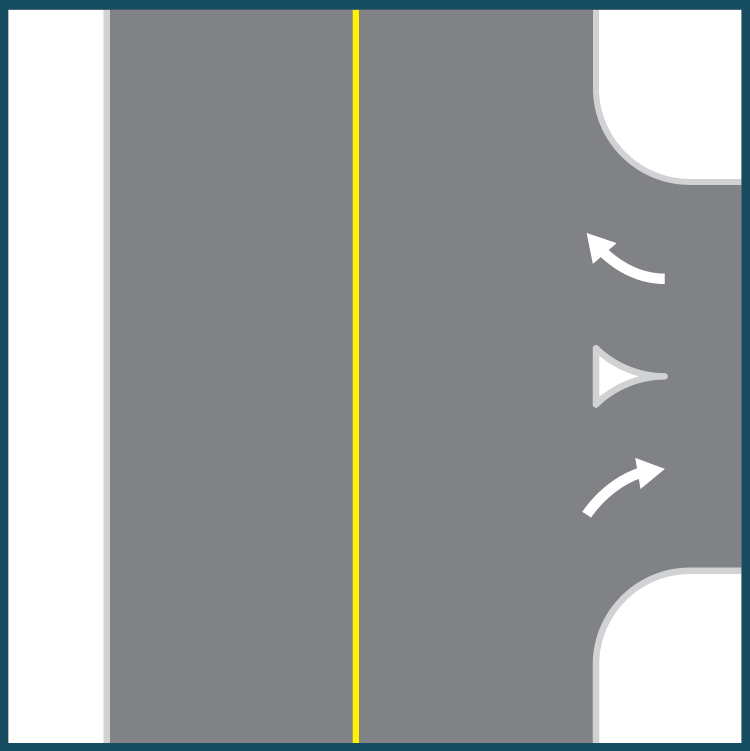 This option includes an all-way stop, shared travel lane, and curb extensions. 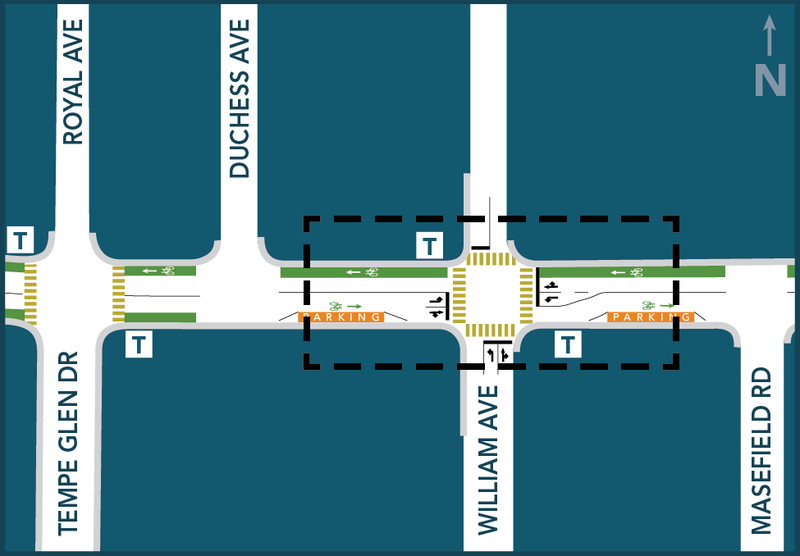 William Avenue intersection: Option 2. 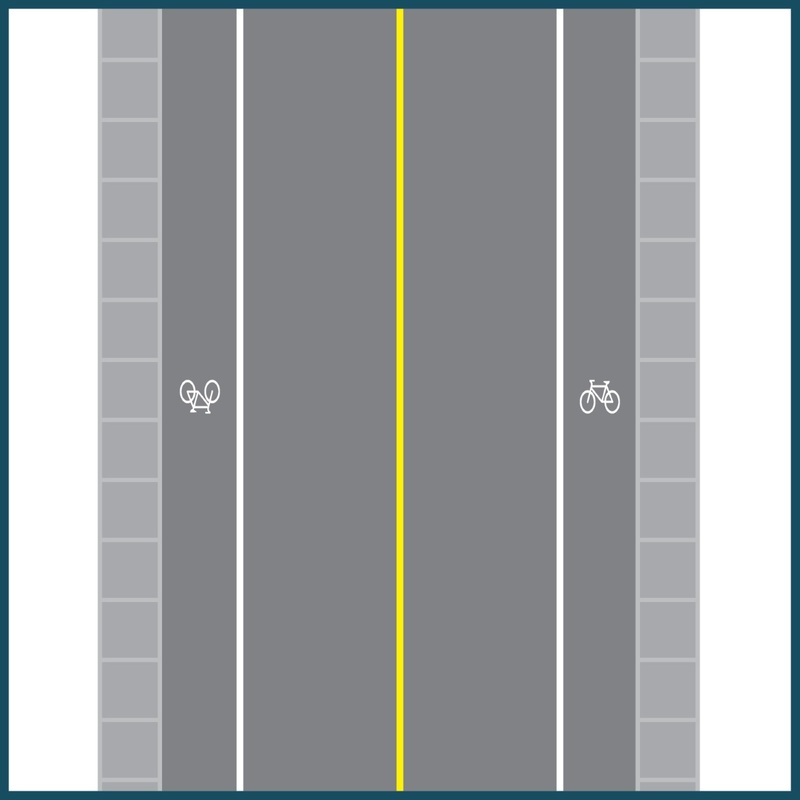 This option includes a traffic signal, left turn bays, and a separated bike lane. 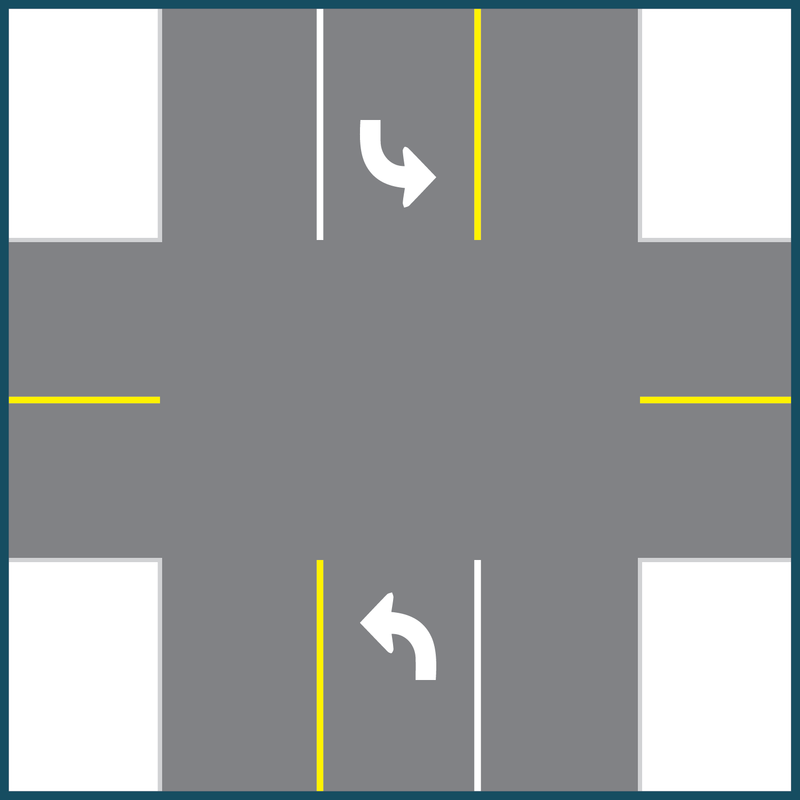 Fromme Road intersection, Option 1. This option includes new curb extensions to address driver and pedestrian safety. It would remain as an all-way stop. Fromme Road intersection, Option 2. 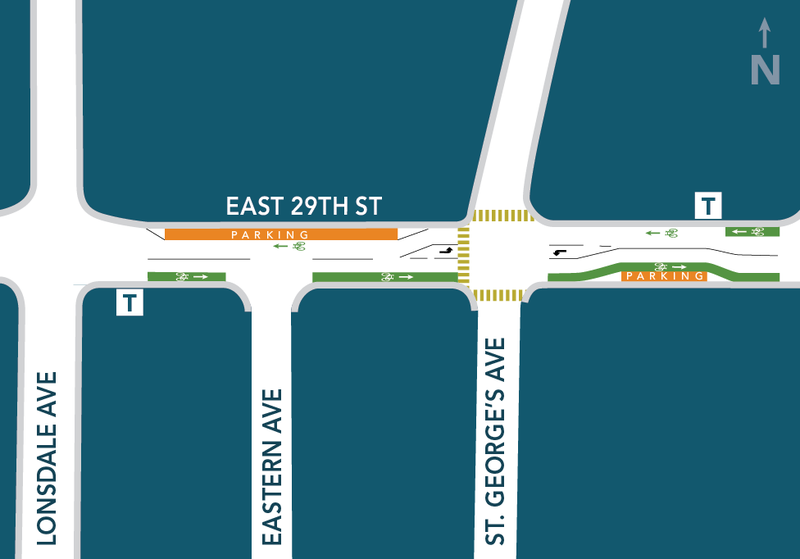 This option includes a traffic signal and left turn bays onto E. 29th Street. We would also add a curb extension on the northeast corner. After reviewing the feedback we received from the public during our consultation in 2016, along with our technical review, we identified a number of traffic management tools and solutions that we could potentially use to resolve some of the issues. Here are some of the potential traffic management tools and solutions we considered for East 29th. ACCESS MANAGEMENT | Process of managing access to and from a road while preserving or improving the flow of traffic in terms of safety, capacity and speed. 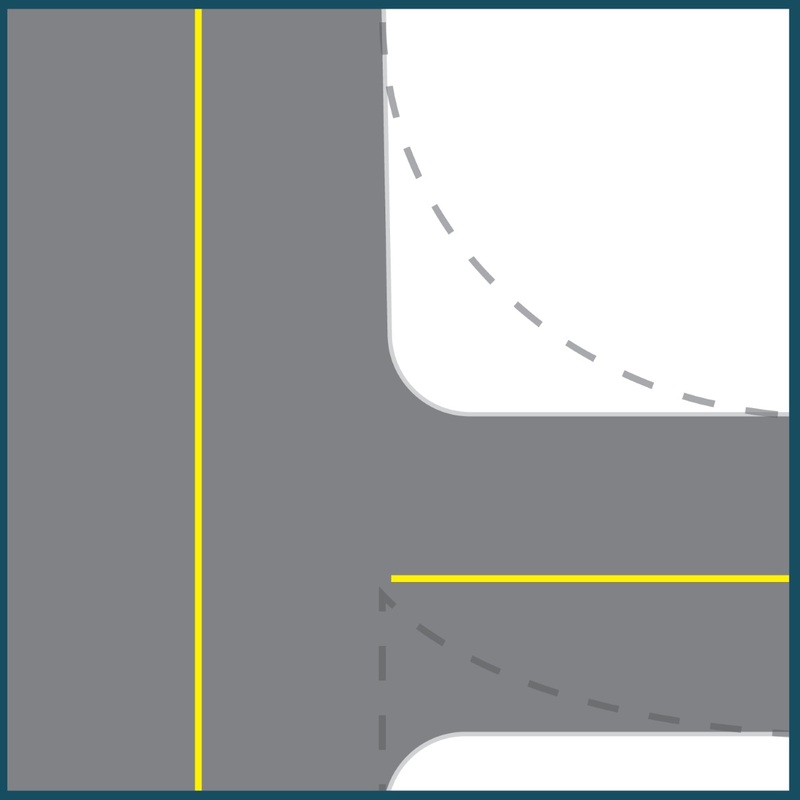 Examples of measures can include relocation of driveways and/or restriction of turns. While we will rely on the input we received through the survey and technical study, there are other, larger strategies and policies that will help guide our decisions around how to address issues along E. 29th Street. As a broad policy framework, the OCP guides planning and decision making about the future of our community, and works together with more detailed strategic action and implementation plans, such as the Corporate and Financial Plans, our Centres Implementation Plans, the Transportation Plan, the Parks and Open Space Strategic Plan, and others. The plan addresses our Official Community Plan goals of reducing greenhouse gas emissions, improving public health, taking advantage of partner funding for improving infrastructure, and developing more options for how people of all ages and abilities get around in our community. Following our public consultation in October 2016, we completed a technical review in September 2017. Here are the major themes and specific challenges that were identified during both the consultation and review. Using both the feedback from residents, and the technical study of the corridor, we have identified the areas of E. 29th Street with the most significant challenges. EXPLORE | Hover over or select the pins on this map to get additional information about each location. To gather information about what the potential safety concerns are along E.29th Street, we surveyed the public. We received 394 responses to our online survey. Here is a summary of what we heard.